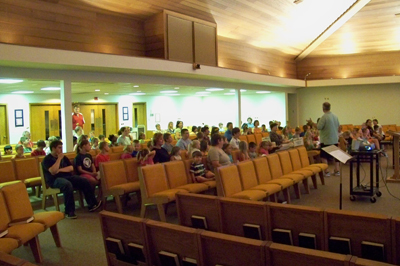 Each year in the beginning of summer, Good Shepherd offers a popular Vacation Bible School to children ages pre-school through 6th grade. 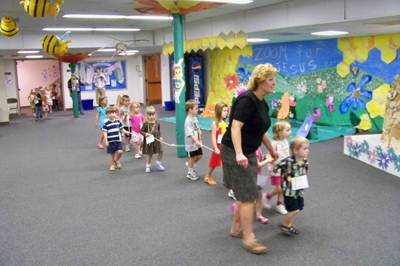 Bible stories, games, crafts, theme related snacks, and music all are part of the week. There is a group mission project that the kids support with their chapel offerings, such as for mosquito nets, fresh water wells, earth quake relief and flood relief. Also a special guest is brought in each day, usually having something to do with that year’s theme. Examples include a beekeeper, a commercial pilot, and a stock car racer.